After working with churches, schools, and businesses for the past 26 years in the area of flexible space, we have seen an increase in the need for art display systems. 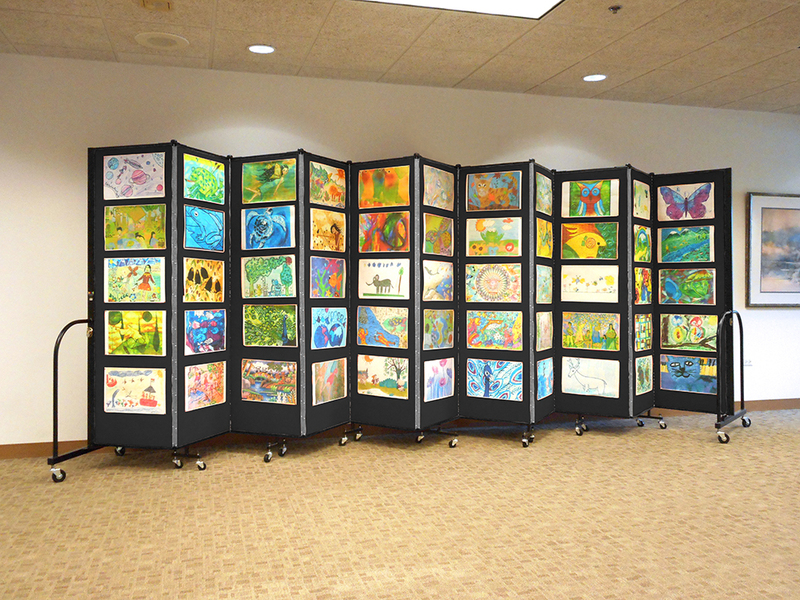 Did you know that all fabric Screenflex Room Dividers are tackable and can be used to display art? Use push pins, tacks, or staples to adhere art projects to both sides of your Screenflex divider. Self-leveling caster wheels allow you to move the art display panel anywhere throughout your facility offering you the versatility needed to where to host your art show. The self-leveling casters also allow the divider to easily roll over and set up uneven surfaces. 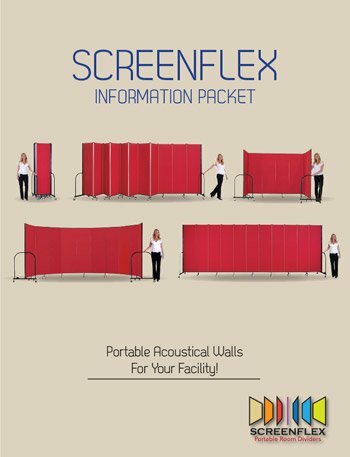 Customize your display wall by choosing one of our 38 fabric colors and 36 room divider sizes.